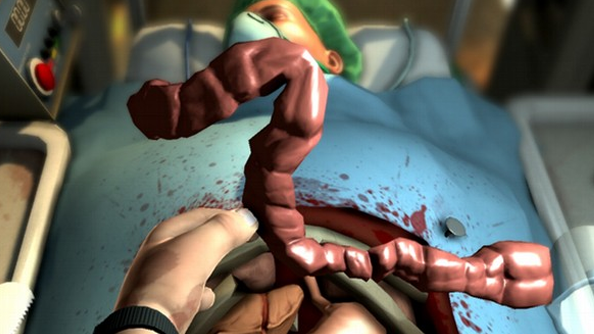 You know, the game that became Surgeon Simulator 2013 was built in two days for the Global Game Jam of the same year. Good music is made when Bossa Studios jam – and they’re doing just that this week for UKIE’s Great British game-off. Bossa will be joined by Future Games of London, the Ubisoft-owned outfit who make games about sharks for the App Store. And Team 17, the Worms people. The jam’s theme will be revealed to the teams this Thursday by UKIE, who have delightfully chosen to interpret their role as ‘independent industry body’ as ‘referee’. From then, teams will have 48 hours to conceive and design a prototype for a panel of UKIE judges. The judges will take the weekend to consider the results, before decreeing a winner at 10am Tuesday. “The monthly Game Jams at Bossa Studios are a treasure trove of creativity,” said Bossa boss Imre Jele. “With over 50 prototypes created these events provide us with an invaluable opportunity to explore novel game ideas and to improve our skills to craft immersive and surprising games. Team 17’s Debbie Bestwick proved similarly enthusiastic about spreading a bit of jam among her staff. If there’s anybody who could benefit from a jam, it’s Team 17 – an unquestionably talented lot with an understandably conservative approach to design that’s seen them all but seize up in recent years. What would you like to see them try their hand at? You can follow the event as it spreads outwards at its twitter page and associated hashtag: #gbgj14.